CNE is one of the most credible, influential and sought-after voices on Puerto Rico’s economy. 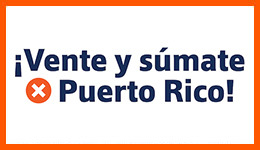 Founded in 1998 as Puerto Rico’s first think tank, CNE has evolved into a powerful non-partisan advocate on behalf of the island in policy circles in the US, as well as an important participant of Diasporic and Hispanic groups in the US mainland. Over the years, CNE’s research has provoked important public discussions on key issues related to Puerto Rico. A decade ago, CNE was among the first voices to alert of the need to address the island’s deteriorating fiscal situation, restructure the island’s outdated energy utility, and find new and transformative economic strategies for Puerto Rico. The group successfully advocated for the creation of the first ever Earned Income Tax Credit (EITC) legislation on the island, and later on, for the creation of the island’s first-ever energy regulatory framework. More recently, CNE has advocated in US policy circles for the need of debt restructuring mechanisms for the island, as well as for post-Maria disaster aid funding for Puerto Rico. CNE’s policy papers are regularly sought-out by officials in the US Congress, the US Treasury, the Federal Reserve Bank of New York, and the White House, intent on receiving balanced expertise and policy counsel on Puerto Rico and finding bipartisan options to the challenges faced by the island. CNE’s reports and analyses are also regularly covered by media from the United States, Europe, Asia, and Latin America, and are cited by numerous academic and policy publications. 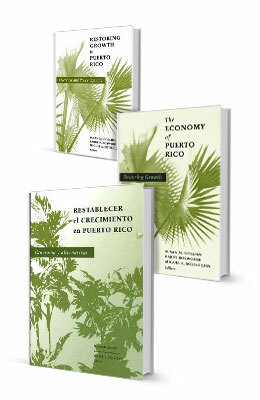 In 2006, CNE jointly published with the Brookings Institution in Washington DC, The Economy of Puerto Rico: Restoring Growth, an in-depth academic research and analysis of the economy of Puerto Rico that offered policy recommendations focused on restoring growth. The American Library Association selected the book as Notable Book that same year. 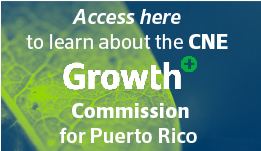 In 2016, CNE created the Puerto Rico Growth Commission, a task force composed of academics, policymakers, private sector representatives and civic leaders whose mission is to articulate transformative strategies to foster long-term sustainable economic growth in Puerto Rico. In 2018, in the aftermath of the devastation caused by Hurricane Maria, CNE created the Puerto Rico Recovery Fund and spearheaded ReImagina with the support of US and Puerto Rico Foundations and individual donors. These two initiatives have been instrumental in channeling emergency relief to the island and identifying concrete proposals conducive to maximizing the use of philanthropic, local government and federal recovery funds. The 2017 Global Go To Think Tank Index Report was compiled from a list of 7,815 think tanks and used the opinion of more than 4,000 journalists, public opinion makers, donors and specialists around the world. Among the parameters used are: leadership, reputation, impact, quality of the faculty and its publications, effectiveness of its management, and financial stability. CNE has appeared in the editions of 2013, 2014, 2015, 2016 and 2017 of the prestigious world report. The Lauder Institute report states that think tanks are a global phenomenon because they play a critical role for governments and civil societies throughout the world. Think tanks propose solutions to social problems based on scientific evidence and critical analysis. These centers advocate for changes in public policies based on the research and analysis of experts in various social, political and economic issues.